No matter how big or small an event is, every detail counts and it is the experience that makes the event memorable. 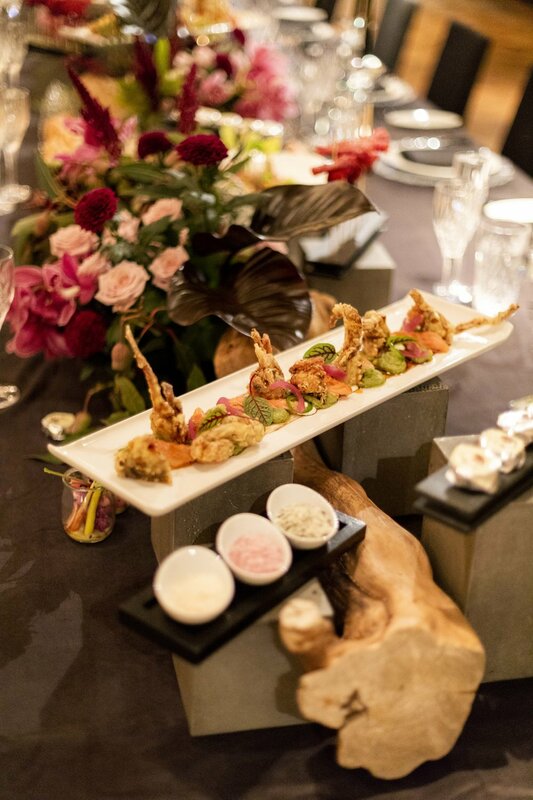 Events by Nadia created this exclusive dinner in collaboration with Gold Calendar at the Four Seasons Hotel, Sydney which saw a seamless fusion of food, flowers and design create an amazing tablescape. The Events by Nadia team worked closely with the chefs at the venue to ensure the presentation of each dish flowed with the table design and every element was an experience for the guests. All floral design, luxury linen and decor items were provided by Events by Nadia.